Content Marketing Archives - Marketing & Brand Strategy. Steve Poppe, Founder. I was reading about Contently getting its Series B round of funding, which I’m sure it deserves, furthering my belief that this outsourced cottage industry of content creation is getting out of control. Crazier than that, however, is the curation business. A friend of mine who is in the school security software space recently sent me a newsletter from Paper.LI with an article about Disney World. Guess it was a slow news day. I write a lot about the difference between “posters” and “pasters” in web publishing. Anyone who can copy and paste falls into the latter category. Those with original thoughts are part of the former. Good brands don’t outsource content by the pound, they create it themselves. And manage it themselves – hopefully guided by brand strategy. Content marketing was initially developed as a way to improve search results. Real content vs. cheesed content with lots of keywords. I suspect the curation business is an outgrowth of this as well and way to build links without much effort. Content creation and curation is probably a half billion dollar business by now. 80% is effluvia, unoriginal noise. Get your brand strategy right then build your own content. See what works, what’s engaged and keep learning (teacher reference). Peace! Pinterest vs. the Lazy Website. I’m not a pinner or user of Pinterest (yet), but recently visited the site in an effort to help out a friend with a woodworking business; my intent was to get him to display his amazing work. Pinterst recognized the fact that I was not an active user and so popped up a quickie tour of new features. The pop up made it sound as if they were sharing new enhancements, but it could easily have just been their way of reorienting and activating me. Nice finesse Pinterest. This is how the web should work. In my world, where a website should represent the brand plan (one claim, three proof planks), pop-ups or interstitial pages that vary based upon your visiting behavior are refreshing. A return visitor that always heads straight to contacts or about should be offered a quick link there. A first time or lapsed user should be treated with special gloves. A repeat purchaser should get the special treatment — perhaps a surprise every now and again, and other delights. But this doesn’t happen very often. Fred Wilson and John Battelle in a recent video chafed at the notion of giving traffic to other’s websites. I agree. Social and content are kind of like chumming and fishing, but once the fish is on the line it needs to come into the boat. Websites are the biggest most important development in commerce since the telephone. Let’s get back to optimizing them. Steve Rubel, you with me on this? Peace. A Content Marketing Tip and Story. Content marketing starts with being seen. Following is a story and insight. And a Twitch Point crumb trail. This morning I was reading a New York Times article (a daily anchor read) describing a new ConAgra Slim Jim campaign. I twitched over to Twitter and followed an author by the name of David Vinjamuri, quoted in the article, writer of a book called Accidental Branding. I have heard of the book but now, thanks to the media surround, will consider buying it.) On Mr. Vinjamuri’s Twitter feed, I read and how his Amazon reviews rock, according to Mars Dorian. I might consider following Mr. Dorain but didn’t have time. His name will go into the gray mush database and should it come up again, he’s in. The notion of being an Amazon review rockstar is very interesting to me, and plays into my Poster vs. Pasters theory of online magnetism. Mr. Vinjamuri, blogs, writes book, Tweets and no doubt does lots of other posting. His Amazon reviews, however, are placed on a canvas that seen by many and more importantly, seen in context. He has found a place where concerned readers congregate and he is posting there — with things they like. (In doing so, he is creating twitches back to himself.) Had Mr. Vinjamuri doen the review on his own blog he’d have to wait for his Google ranking on the topic to float up. So he used Amazon to fish for acolytes. Genius. Just as inbound links are the key to Google rankings, commenting and leaving a trail of crumbs on other people’s sites is a key to content marketing. It’s the last mile. The one most people forget about. It’s the map or directions to you and your site. There is way too much Fotchbook focus for marketers today. They create content for Fotchbook (faccia, is Italian for face) and becasue the platform contains so many crumbs, people tend to stay there…giving Mr. Zuckerberg all the traffic. So Posters, you need to troll. You need to troll in rich waters. And you need to create content back at the ranch that will build greater affinity. Sorry for going long today. Peace! My Spanking by David Poque. David Poque, a technology columnist for The New York Times, is a very interesting character. He’s a thoughtful, important and market-moving purveyor of what’s hot and what’s not. Sometimes his columns are a bit like a PC Mag review, but mostly they’re a fun Anthony Bourdain-like travelogue through the tasty streets of technology. My prediction: Mr. Poque will either leave The New York Times within the next 3 years and create his own branded site or AOL will make him an offer he can’t refuse. Yahoo could, but they have a lazy eye. Peace. Yesterday at the Long Island 140 Conference I had lunch with Jason Molinet. Those from Long Island know Mr. Molinet from his insightful bylined stories in Newsday over the years. He now works for Patch. I like AOL’s content strategy and often urge the company to invest in big name online properties a la Huff Post and TechCrunch. As for Patch, I haven’t been as warmly disposed. My first impression was that Patch (AOL’s local news play) was going to be a flop. A big time supporter of the need for more localized news and the internet’s ability to deliver it, in my experience so far Patch has been lacking. Fact checking, reporting ballast, edge still seem lacking. I wonder if Patch reporters are tired and on second careers. Jaded me? Well perhaps I’m wrong. Tim Armstrong (AOL CEO) is heavily invested in Patch and he wants it to work, so maybe Mr. Molinet is a step in the right direction. Earlier in the week I sat in on a talk at the Social Media Club of Long Island with a New York Times stringer reporter who lives locally. She’s a heavy social media user and when combining her investigative reporting skills with fast twitch social media she has been doing some amazing things. Her sources are a fingertip away. Story backgrounders clicks away. Quotes immediate. This woman gets the new journalism. And it is very, very exciting. Once newspapers break the tether of the paper/paper and traditional reporters will combine their instincts and skills with social and web tools, it will truly reinvent the business. It’s the promise of Patch. Let’s see if they deliver. Peace! 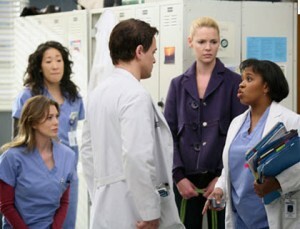 Grey’s Anatomy’s Droopy iPad App. There is an iPad app for fans of Grey’s Anatomy, says CIO Magazine, developed by TV rating company Nielsen, that offers interactive social activities to viewers tied to events in the program. These events are “watermarked” to the show dialogue. I’m interested. Coolness. I am always on the lookout for “1 plus 1 equals 3” mashups of media that go beyond the expected. That tread new ground. And then I read that the Grey’s Anatomy app pops up questions like “What do you think will happen next in the plot?” “Or tweet this to a friend.” Droop. The app also offers character info, games and quizzes. Droopier. It sounds as if the media socialists on the show are making the app an extension of a fan club when there were so many other ways to go. The show is about medicine and doctors and hospitals, why not go that route? Why not inform, educate, surprise? Or how about offering up some type of production notes about the cast and the scene? I’ll bet if the app developers actually listened to the audience in real time, without a social media engagement agenda, they might hear insights they hadn’t expected. Go deep. Think deeply. Think about strategy not tactics. Don’t extend, invent. Peace! Here’s the difference between the Daily Beast’s content strategy and that of AOL. Daily. AOL has a broad set of content properties with a new video focus and a top-tier Poster mentality, but the Daily Beast is all about today. Combining of the Daily Beast and Newsweek was all about allowing the Beast to learn the journalism craft and investigative reporting and to infuse news gathering DNA into its being. Whether or not the Beast subsumes and devours Newsweek, only time will tell (I suspect it will), but this is the play for the Beast. It has set its sights on the Huff Post, part of the AOL family, and made an interesting move yesterday. By bringing over the Daily Dish from The Atlantic yesterday (there’s that daily word again) and paying Andrew Sullivan for his column/post/blog, the Daily franchise will grow in stature and readers. The brand is taking form. In the magazine media form, first there were monthlies, then weeklies. Online has allowed for dailies. Of course newspapers are dailies and if anyone should own the daily label it should be them, but for some reason they can’t seem to get out of their own way. It takes a blog. Go ahead and laugh, but it won’t be long before someone comes along and takes the “hourly” franchise. Peace. Apple has decided that ebook publishers and retailers, whose books make their way onto Apple devices, must allow the books to be purchased via Apple. If you are an iPazzle owner and go to Amazon to buy “The Help” there must also be a link to purchase that book from iTunes/Store as well. 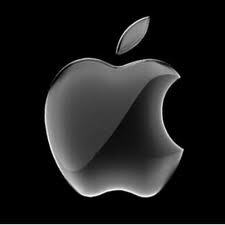 Apple will earn 30%. Sony an ebook retailer has already balked at this dictate. Apple is not saying you have to buy from them, just that they deserve equal access. Seems fair enough. Apple Fanboys and girls may wish to give their hard-earned to their favorite brand, as is their right, but where will this taking a cut of the content stop? Will Apple at some point want a penny for every phone call that lands on an iPhone? And how would you sell that to your custies? “It goes to R&D to help design better products?” Might work. Apple, already an opt-in monopoly of almost cult-like dimension, is creating a platform (read Steve Lohr’s article in The New York Times) that stretches beyond hardware and software and into that amorphous area of services. They had better be a bit careful though. Opt-in is one thing…dictatorship quite another. Peace! I’ve been a fan of Douglas R. Conant, CEO of the Campbell’s Soup Company, for a few years and today my fanboy status took a hit. 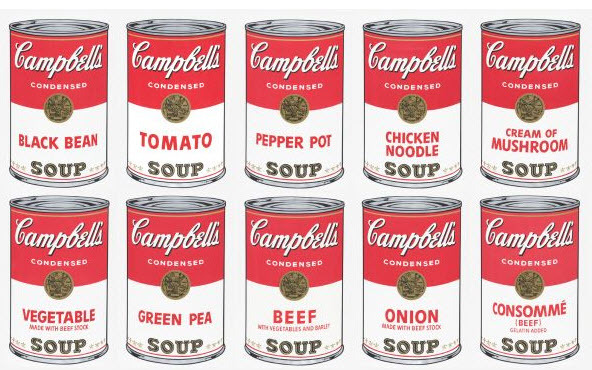 Soup sales fell for Campbell’s in it most recent quarter, missing analyst targets by one cent — and the stock price fell. In a tight economy, inexpensive soup becomes a staple of the dollar-conscious. According to reports, people are still buying the condensed soups and using them in meals prepared at home but sale of ready-to-eat and other condensed soups are flagging. 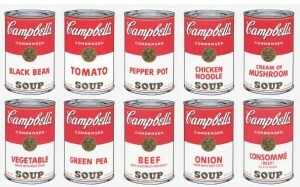 Apparently there is just so much canned soup a body can take. Mr. Conant who is leaving Campbell’s in July, noted that the sales problem is tied to lack of product innovation and the fact that new customers are not stopping by his area of the food aisle. For a middle-American family of 5 who has eaten soup once or twice a week for a couple of years, pinching dollars, I can see why there might be some push back from around the dinner table. I suspect a little recipe innovation, rather than product innovation might have been a good idea. This time last year, when business was cranking, I reached out to the marketing department at Campbell’s and suggested a creative social media program around a “dinner for dollars” video property. (Can’t say more.) I was told to take my idea to the suggestion box on the website. As Tony Montana might have said “Not look at chew.” Peace! The next big thing will be a video webisodes channel for mobile devices. More and more today, you see people on trains and benches staring down at their mobile phones. If they are not typing or moving the cursor they’re watching movies. Not everyone has time for movies. You might have 20 minutes of alone time on the way to a museum, club or ballgame. You’re LOLed out and don’t want to bother someone with another inane cell phone conversation starting out with “Hey. What are you doing?” The answer? Log on and find some video programming. It will start out as a single curated channel called Mo-Tube or something, containing short length “mobi-sodes” of 16-22 minutes in duration. After a while there will be more channels and programming segments, but it will start with a single new branded channel. Not necessarily serial in nature, these mobi-sodes will be designed to load and stream efficiently and, I’m guessing will be available via subscription. Aol, you feel me? This will be a new type of programming – not radio, not TV, not movies. Just little chunks of original and mashed-up programming that stimulate the viewer, fill some time and get the brain moving. Mobi-sodes. Coming to a device near you…in three years or less. PS. I know someone will say the channel exists already, but if a tree falls in a the woods and no one is around….